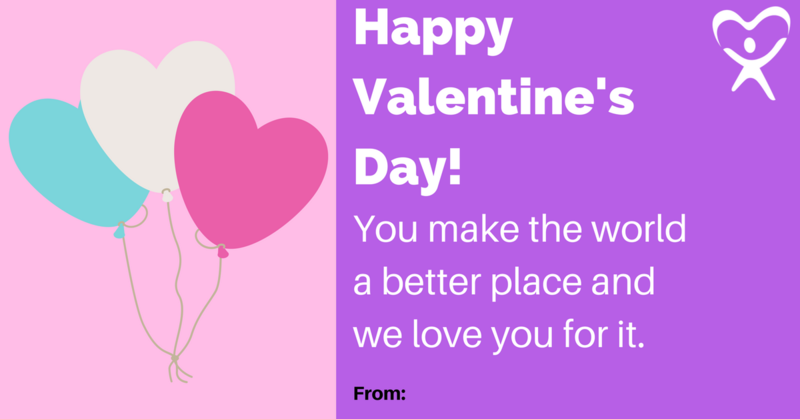 Send a Valentine to a CASA Volunteer! Please fill out the information below, and select which valentine you would like to send. 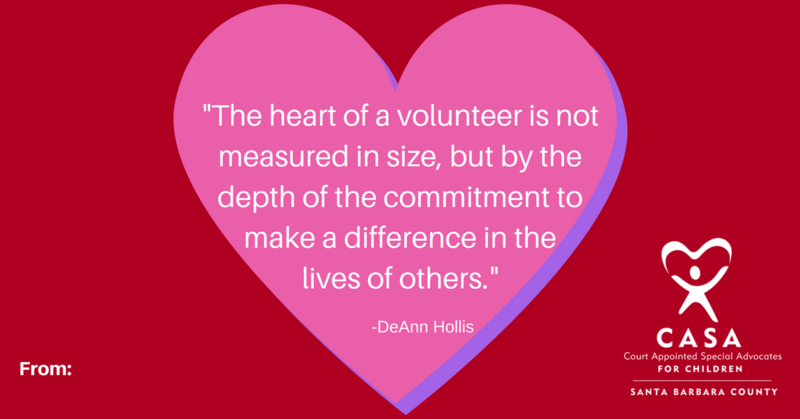 Valentines will be given to our 305 volunteers throughout Santa Barbara County. Only your first name will be included on the card. If you have any questions, please contact info@sbcasa.org. 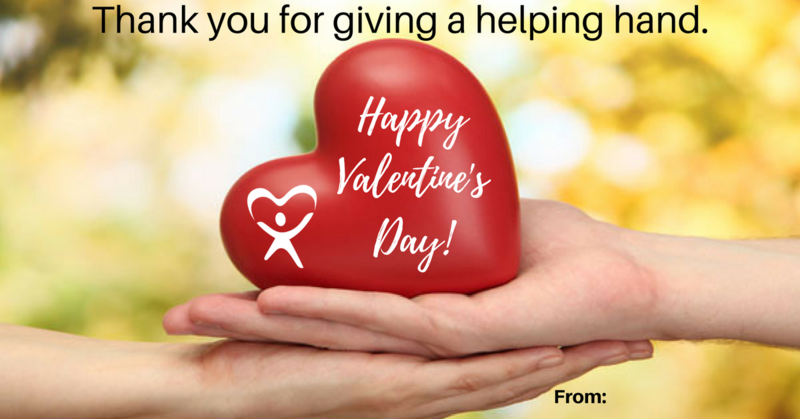 Thank you for helping us thank our volunteers! *Your email will be added to our mailing list, you may opt-out at any time.